I've been meaning to join MOMMY MILKSHAKE (A Family Fun Run for Breastfeeding!) for years now. But every time I plan to, I either get sick or the rain will pour cats and dogs. I am crossing my fingers (again! 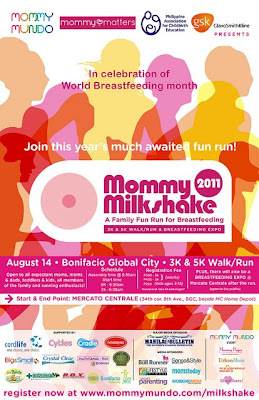 ), because from what I read in Mommy Mundo, Mommy Milkshake this year goes a step further! After the Run/Walk around Bonifacio Global City, all participants are invited to a brunch and breastfeeding expo at Mercato Centrale right after. There will be booths and activities showcasing mommy and nursing products and accessories, there will be fun and informational talks and activities for moms as well as kids. *Breastfeeding Expo @Mercato Centrale- no entrance fees, this event is open to the Public and will run from 7am-2pm. 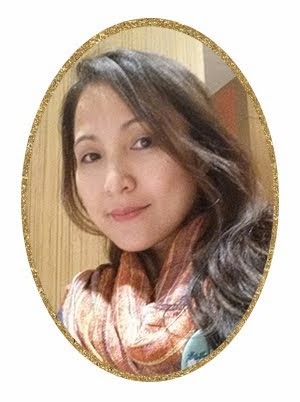 For further inquiries, call 4709925 or email info@mommymundo.com. I salute to the organizer of this event for giving tribute to all mom's out there that breastfeed their child. I wish I can join but since m pregnant it's impossible to happen. I wish for the the success of this event.!!! go!!! go!!! mommy milk shake I salute to all mom's out there who chose to breastfeed despite of the modernization and innovation here on earth. Breast milk is still best for babies. I wanted to join this too but I don't have a running buddy. Passed muna ako! Thanks for posting! I heard about this last year and felt bad that I was not able to join. Hopefully this year, I will be there with my family. August is breastfeeding month nga pala! I am thinking of joining, my first run, if ever. I breastfed my six boys and I'm a staunch supporter of breastfeeding.